Thanks in part to an incredible partnership with Tilth Alliance, League of Education Voters has continued to promote project-based learning. Since 2002 League of Education Voters has been partnering with South Shore, a Seattle Public Schools PreK-8 school serving around 700 students in Rainier Valley, to fund innovation and create proof points in hopes of spreading effective practices across the state. Through our partnership with South Shore, since 2009 we have also helped support what has become the Rainier Beach Learning Garden, located behind South Shore, providing project-based learning for several nearby schools, community centers, and daycare programs. While land management and site coordination is now provide by Seattle Parks, the garden’s educational programming is managed by Tilth Alliance, a statewide nonprofit organization focused on organic gardening and urban ecology. Tilth Alliance specifically utilizes the Rainier Beach Learning Garden as a facet of their mission “to increase access to fresh healthy food for folks in Rainier Valley.” By working with Tilth Alliance, League of Education Voters has continued to impact each South Shore student’s education. Over the course of the 2017-2018 school year, this partnership has again proven to be fruitful in opportunities for students. First, a three-week farm-to-table series was offered for the 54 students in preschool, culminating in a family night, serving 55 families. Gardening classes were also held each Thursday at the learning garden for the 480 students in kindergarten through fifth grade. In addition, students each middle school grade were able to take 5 field trips in the spring to the nearby Rainier Beach Urban Farm and Wetlands for food education systems classes. 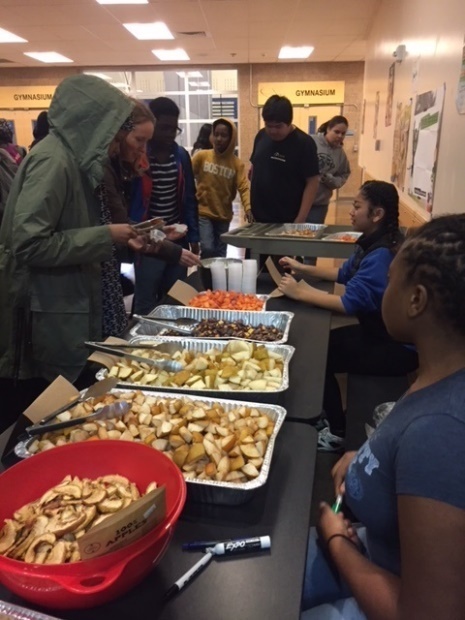 Furthermore, during the fall, all students had the opportunity to participate in Taste of Washington, a WSDA Farm to School initiative, offered during four lunch periods, including tasting and voting. Some students also helped prepare for the event, making homemade ranch dressing, and washing and chopping the fresh produce. 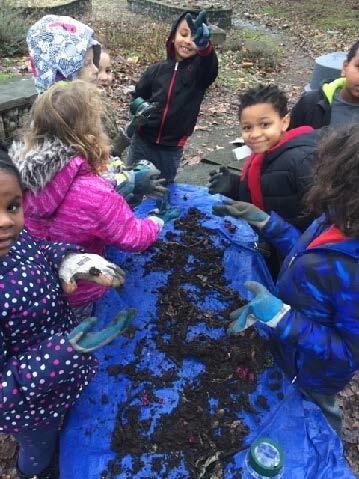 As the reach of garden education curriculum at South Shore continues to expand, Tilth Alliance is working to strengthen their capabilities at the Rainier Beach Urban Farm and Wetlands to create a more extended course of study following curriculum at the Rainier Beach Learning Garden. There is also a model for teaching and learning outside in the works for expanding to other schools in Seattle and statewide. We are encouraged by the successes of Tilth Alliance’s work at South Shore and hope this relevant, hands-on, project-based learning will continue to spread and impact students across the state.